In November I flew to Houston for a long weekend and met my parents there, who were in the middle of a cross-country vacation. 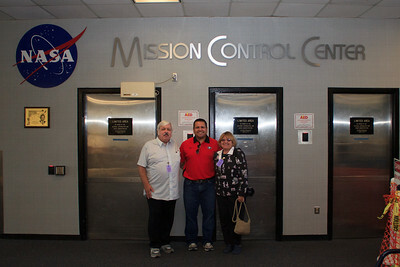 On Sunday we went to the Jaguars/Texans game which was awesome, but on Monday we managed to top that with a wonderful tour of NASA's Johnson Space Center, thanks to our friend Mike Scott! Here are a few photos from the tour; Frankly I'm surprised with myself for waiting so long to share these images. I tried to caption each photo with some relevant information about it, so if you are interested in the space program and it's history, take a look; Mike Scott please correct me if any of the stuff I said is inaccurate or misleading, and thanks again! 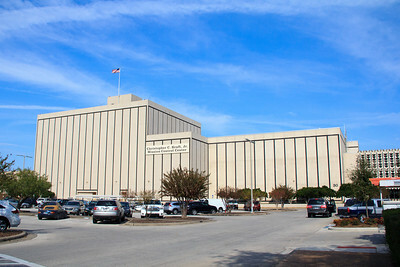 This is the Cristopher C. Kraft, Jr. Mission Control Center, which houses all Mission Control Rooms from 1965 to present. 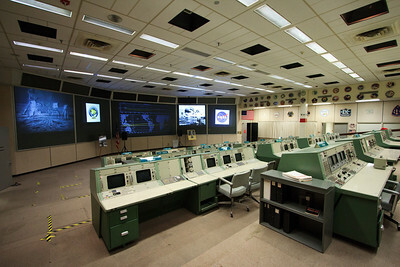 This is the Missions Operations Control Room that was used for most Gemini, Apollo and Space Shuttle Flights until 1998. I've seen many, many historic photos that were made in this room, so you can imagine how amazing the experience was to be there. 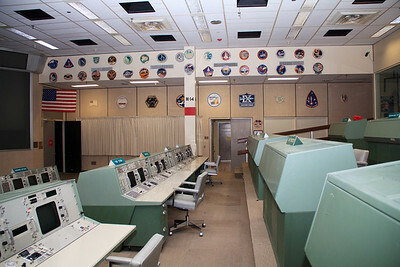 As the flight control room for Apollo 11, the first manned moon landing, this room was designated a National Historic Landmark in 1985. 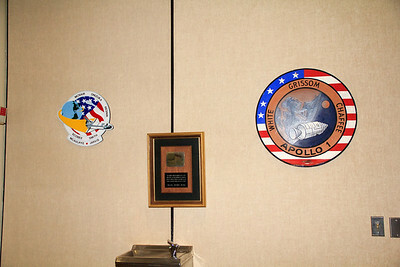 Each control room has the patches from each of it's missions on the wall. 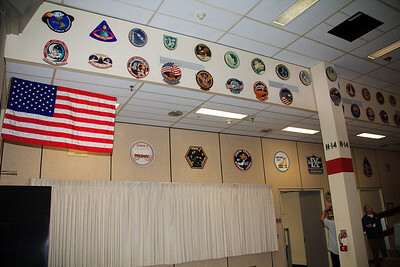 Near the top here, you can see the patches for Apollo 11 and Apollo 13, a couple of the more famous missions. The flag on the left has actually been to the moon. I was told that it was used as a "backup flag", and never left the lunar module, but it did make the trip. 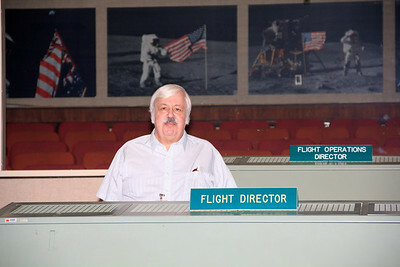 Here's dad, acting as flight director today. 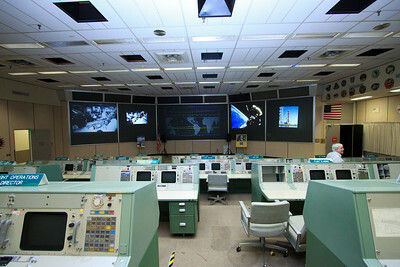 This is how that same flight director post looked during the days of the Gemini missions. This image was made during the Gemini 6 mission. 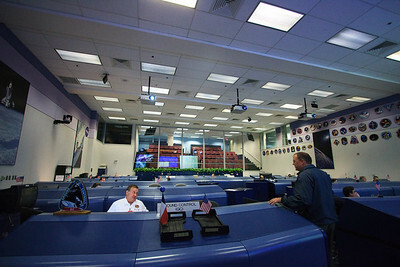 There's me having a go as the flight director. 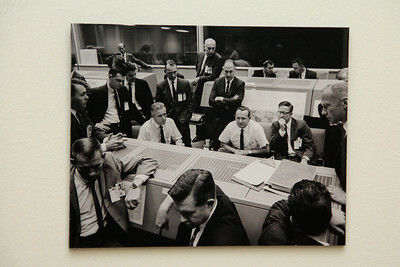 This image was made in the Mission Operations Control Room shortly after the Apollo 13 Crewmembers returned safely to Earth. 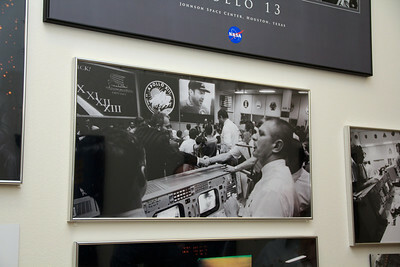 The hallways of the Mission Control Center Building are loaded with incredible imagery from the space program. 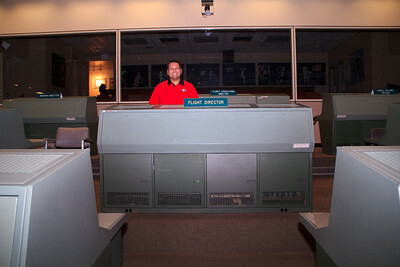 This is Bill Foster in the "White Flight Control Room". 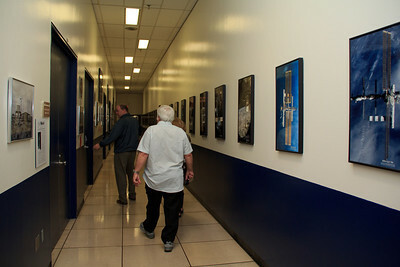 He has been the Ground Control for the Shuttle as well as the ISS. 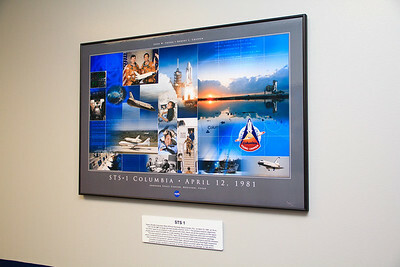 He's also created many NASA program and commemorative patches, including the Spaceflight Memorial Patch, seen here: http://spaceplex.com/2011/01/27/remembering-apollo-1-challenger-and-columbia/ Bill is the one that told us the story about the flag on the moon in the Missions Operations Control Room.